Description: Have you ever wondered about "the five points"? What do they really mean? You've heard of Reformed theology, but you're not certain what it is. Some references to it have been positive, some negative. It appears to be important, and you'd like to know more about it. But you want a full, understandable explanation, not a simplistic one. WHAT IS REFORMED THEOLOGY? is not a textbook but rather an accessible introduction to beliefs that have been immensely influential in the evangelical church. In this insightful book, R. C. Sproul will walk you through the foundations of the Reformed doctrine and explain how the Reformed belief is cantered on God, based on God's Word, and committed to faith in Jesus Christ. Sproul will explain the five points of Reformed theology and will make plain to you the reality of God's amazing grace. Previously published as GRACE UNKNOWN. Author Information: R. C. Sproul is the author of more than sixty books, the founder and chairman of Ligonier Ministries, and a professor of systematic theology and apologetics at Knox Theological Seminary in Fort Lauderdale, Florida. 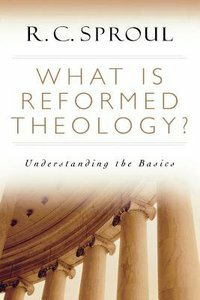 About "What is Reformed Theology?" Customer Reviews For "What is Reformed Theology?" A great book which covers the importance of Reformed theology and gives a good understanding of why Reformed Christians worship in the way they do. A great tool to gain in-depth knowledge of the tenants of theology in a modern world. The term "reformed theology" is one that carries with it a load of baggage and misunderstanding. In reality, what is discussed in this book is not actually the full extent of what could rightly be called reformed theology, rather, in this text, R.C. Sproul seeks to convince the reader of one particular aspect of reformed theology, notably, the reformed understanding of salvation. The reformed understanding of salvation fits under the umbrella of Calvinism and Sproul focuses on the 5 key ideas that distinguish Calvinism and skilfully argues for the validity of the idea. Though the topic is difficult and usually pondered by theology students, he breaks it down and teaches it at a level that is more accessible to the general population. If you want a book to help you wrestle with the doctrine of salvation, this can be a handy way of getting started. R.C. Sproul is one of today's finest conservative writers. In this book he sets out to explain one of the trickiest, and in some ways, most controversial doctrines of the Christian faith. Reformed doctrine, often referred to as Calvinism is a doctrine that makes some very significant claims about how God saves, and who he saves. He steps through, carefully explaining the biblical basis of the doctrine and answering many of the major objections to the views. A must read for anyone seeking to understand the doctrines of salvation.